Might there be a competitor for the Rivian R1T electric pickup truck? Atlis Motor Vehicle company is a new-ish name on the scene, but its soon to break out after this news. 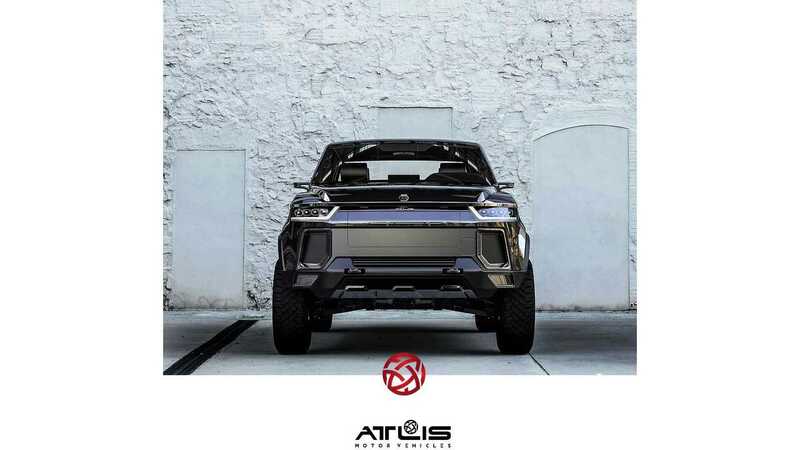 Atlis XT is considered a full-size truck and, unlike with the Rivian R1T, a 6.5 or 8-foot bed can be selected. 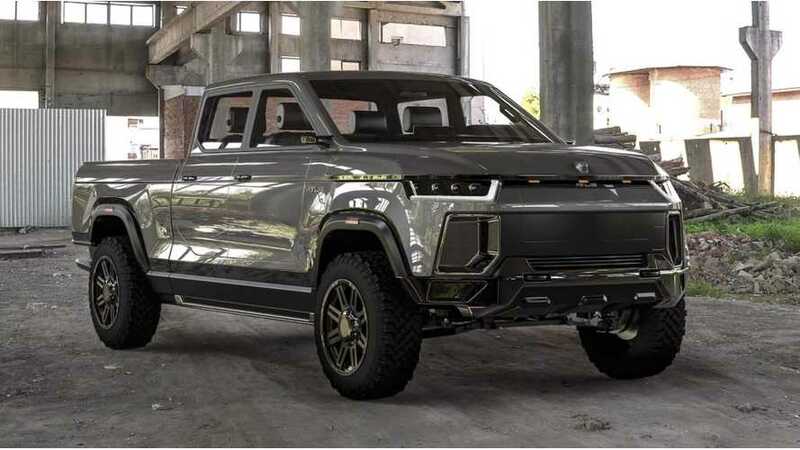 Clearly then, this is a larger truck than Rivian's. Its 8-lug wheel design suggests it's a heavy-hauler too. With this being a proper truck, there are all sorts of configurations. For example, depending on how it's configured, the Atlis XT has a conventional towing ability between 5,000 – 20,000 lbs. The truck has a 5th-wheel tailoring capacity of between 10,000 – 35,000 lbs. Payload capacities would range between 1,000 – 5,000 lbs. There's a standard crew cab with a shorter bed that offers standard air suspension (independent at all four corners) with 12 inches of ground clearance. But for more extreme use, there's a special “off-road” version with long travel suspension and 15 inches of clearance. A dually is reportedly planned too and this would be the heaviest hauler of them all. Like with Rivian, multiple battery pack sizes will be offered. Atlis says the shortest range XT will still go 300 miles. Other options are for 400 miles of range and the aforementioned 500-mil max range version. Recharging is claimed to take only 15 minutes, though specs and details on this have not been released. As for performance, 0 to 60 MPH is achieved in 5 seconds. However, even a fully loaded Atlis XT can still accelerate from 0 to 60 MPH in just 18 seconds. Atlis uses what it calls its XP platform on the XT. This setup utilizes 4-independent electric motors, one for each well. So, it's 4WD then. The interior is rather luxurious looking and can set up to 6 individuals in total. The XT Pickup is everything you expect in a truck: it’s rugged, it’s durable, it can perform in the most extreme conditions. It’s also designed to maximize passenger comfort, storage and usability. Meet the 100% electric Atlis XT. We’re on a mission to revolutionize the way we configure and purchase pickup trucks. Say goodbye to packages and classes. When you purchase your XT Pickup Truck, choose the vehicle features and capabilities that meet your needs. A quick charging vehicle for those that have busy schedules and need to keep going with minimal downtime. For the best performance charge your vehicle at an Atlis Motor Vehicles Advanced Charging station. It takes just 15 minutes. Or choose to connect to another charging station of your choice. We use a unique air sprung suspension design with dynamic damping capabilities that adjusts to the vehicle load. This allows us to deliver a consistent and comfortable experience, every time. Final capabilities and options will vary. We are designing for a vehicle capable of towing up to 35,000 lb GCWR, up a 6% grade while maintaining 65mph (dually version). Single rear wheel (SRW) and Dual rear wheel (DRW or dually) options available. Enjoy the best traction control on the market. The XT Pickup independently controls power delivery and braking to each wheel, leveraging four independent drive motors with direct drive to each wheel. 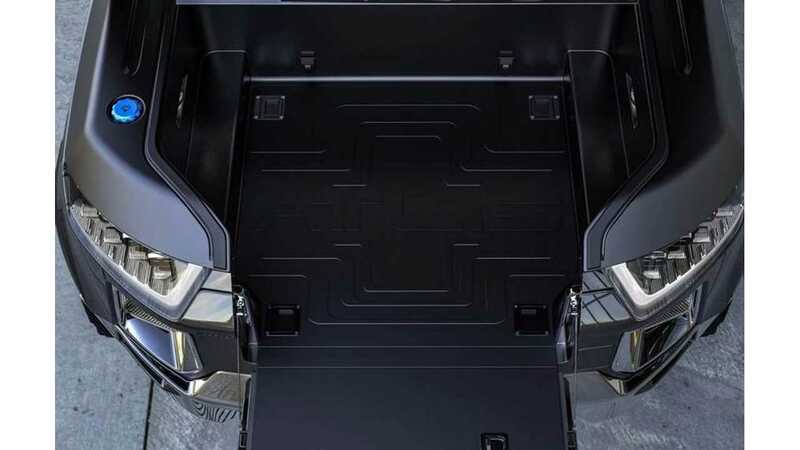 The XT Pickup offers the largest usable front-trunk storage area ever. It’s capable of handling two large suitcases, your groceries, tool boxes, and beyond. With air springs and independent front suspension, the XT Pickup lowers for easy loading and unloading, while remaining level when in motion. With side cameras replacing the conventional wing mirrors, the Atlis XT has superior viewing angles allowing you to stay in total control of your surroundings. With screens either side of your steering wheel, the screens are large and provide a high quality video feed. We’ll provide ongoing updates to our autonomous vehicle capabilities until we have reached Level 5 autonomous vehicle capabilities. Standard: Level 1 driver assistance with adaptive cruise control. Optional: Advanced adaptive cruise as well as parking and lane keeping assistance. A center-mounted digital touch screen will serve as the hub for vehicle settings, heating and cooling, and infotainment with Apple Carplay and Android Auto. Use its physical rotary knob to make fast commands and quickly change settings. The dash instrumentation will be a multi-split digital touch screen displaying all live vehicle information, including live video feeds from the standard driver assistance cameras. The unique UI behind the wheel ensures the user is in complete control and allows for various customization. This creates a personal connection as you will be able to create an aesthetic you want. Standard vinyl interior with the option to upgrade to carpet. Own the next generation of pickup trucks. The 100% electric Atlis Motor Vehicles XT.